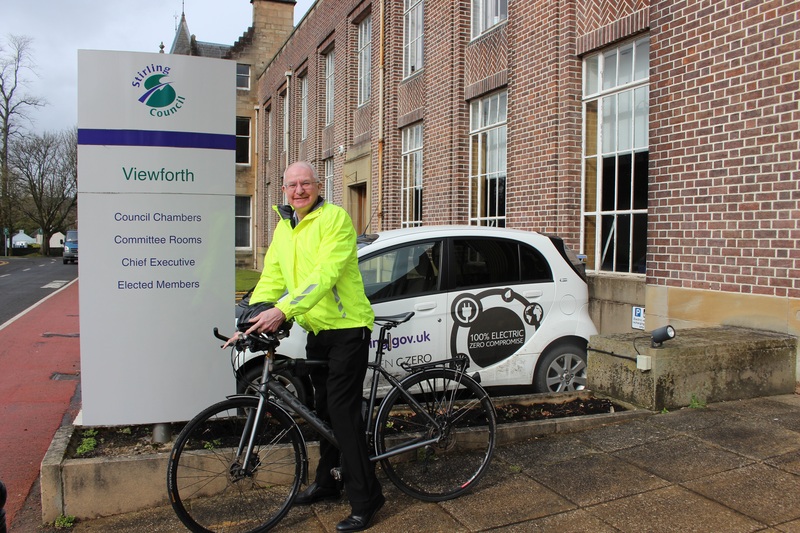 "Affordable, healthy and environmentally friendly"
Convener of the Environment and Housing Committee, Cllr Jim Thomson said: “I am pleased to see this project up and running which will deliver high-quality networks for cyclists and pedestrians in the local area and enhance neighbourhoods. “These improvements have been developed in consultation with communities and will make a huge difference to how people travel across the city as we look to achieve a sustainable and active Stirling. Sustrans Scotland's Community Links programme provides funding for the creation of infrastructure that makes it easier for people to walk, cycle and wheel for everyday journeys. Community Links Manager for Sustrans Scotland, Dave Keane said: “These improvements will make it easier for people to walk, cycle or wheel to and from Braehead and Broomridge, giving people more options for reaching workplaces, businesses and education. We are very pleased to have been able to work with Stirling Council to deliver real improvements for the area."